An entity that owns 89 percent of the weather search results apparently doesn't think that's good enough. So, what would you do if you're in that situation? Why not get an entire internet domain under your possession! 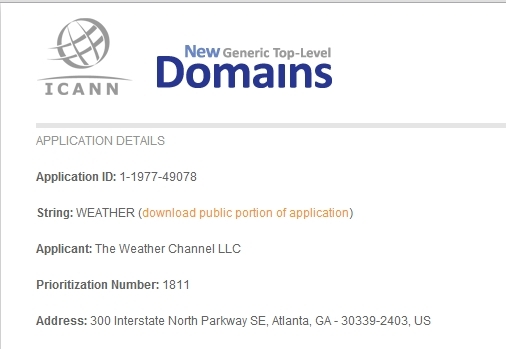 The Weather Company (weather.com, TWC) has decided to go all-in on a monopoly ploy by applying for the .weather top level domain. 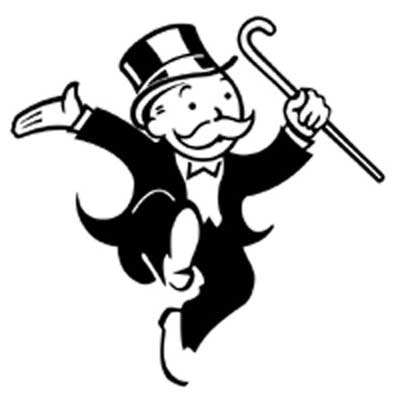 It's all about control for TWC, which contends in their application to ICANN (the Internet Corporation for Assigned Names and Numbers) that its control of the domain will aid consumers in accessing information in one convenient place. “The .weather gTLD [generic top level domain] will provide an authoritative Internet space for weather content, where the trusted services and resources of The Weather Channel, LLC (TWC), its affiliates, and partners will be closely controlled and made available to consumers around the world,” the application says. You can download it through this link. Needless to say, competitors are in a heat wave of anger over this attempt to monopolize a singular top level domain. Twenty entities have or are planning to file objections with the International Chamber of Commerce over the move by TWC, including AccuWeather and Earth Networks, parent company of WeatherBug. TWC has been on an aggressive path over the past couple of years, acquiring Weather Underground and Weather Central, two other weather service companies, and has been taking heat for its aggressive stance on naming winter storms more often than 76er Andrew Bynum's recovery timetable gets pushed back. The weather community will likely be in a bit of a storm over this process, which will play itself out in a period of reviews and written statements by AccuWeather and TWC over the next couple of months. The final decision on who, if anyone, can control .weather will not be made for a few months in all likelihood.